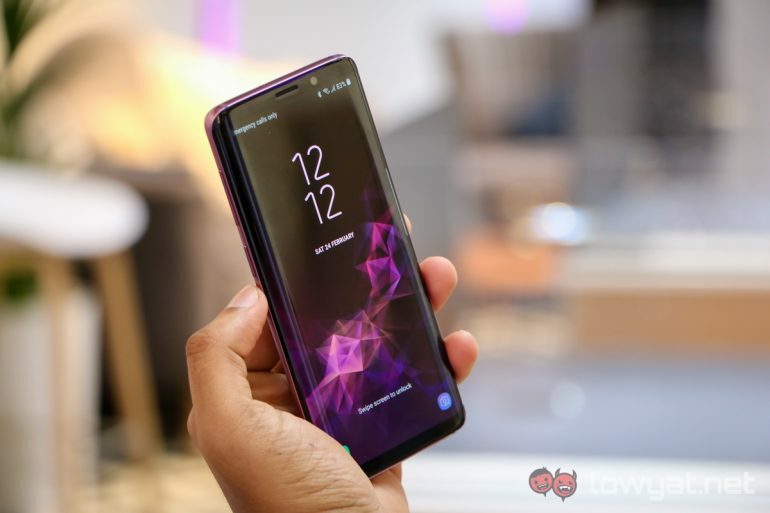 The Samsung Galaxy S9 phones were launched in Malaysia earlier this year, and we saw some pretty good deals on the devices. Now, both the Galaxy S9 and S9+ are even more affordable – you can save up to RM500. Let’s start with the bigger Galaxy S9+. Originally retailing at RM3,799, you can get the 64GB model for merely RM3,299 now. 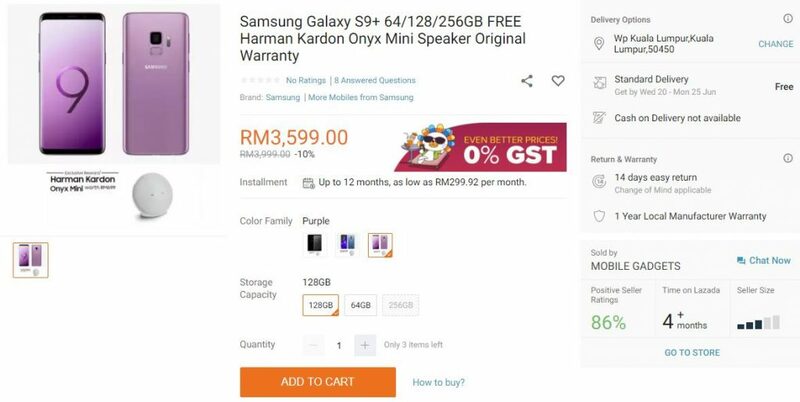 If you want the 128GB model instead, you’re in luck: a Lazada retailer is offering it for only RM3,599 instead of RM3,999. On top of that, it is also throwing in a Harman Kardon Onyx Mini worth RM699. This technically saves you a whopping RM1,099. As for the smaller Galaxy S9, another retailer is listing the 64GB model for only RM2,839, saving you RM460. Needless to say, this is a very good deal, and there are very limited units. Only two Coral Blue units are left, and if you want the Lilac Purple Galaxy S9, there’s only a single unit available now. These are very good prices for the Samsung Galaxy S9 and S9+, and if any of the deals here piqued your interest, you may want to act fast. You can also check out our comprehensive review of the Galaxy S9+ if you’d like to learn more about Samsung’s latest flagship phone.